The Stockholm Environment Institute (SEI), recently ranked as one of the world’s top-ten environmental think tanks, is a major global player pushing for action on environment-development issues, and in particular on how these issues link to poverty. It is an independent, international research institute specializing in sustainable development and environment issues. It works at local, national, regional and global policy levels. The SEI research programmes aim to clarify the requirements, strategies and policies for a transition to sustainability. These goals are linked to the principles advocated in Agenda 21 and the Conventions such as Climate Change, Ozone Layer Protection and Biological Diversity. SEI along with its predecessor, the Beijer Institute, has been engaged in major environment and development issues for a quarter of a century. It seeks to be a leader in the creation of a new field of sustainability science aimed at understanding the fundamental character of interaction between nature and society, and to contribute to the capacities of different societies to build transitions to more sustainable futures. The SEI mission developed from the insights gained at the 1972 UN Conference on the Human Environment in Stockholm (after which the Institute derives its name), the work of the (Brundtland) World Commission for Environment and Development and the 1992 UN Conference on Environment and Development. The Institute was established in 1989 following an initiative by the Swedish Government to develop an international environment/development research organisation. For the period 2006–2009, SEI received substantial financial support from The Institutional Programme Support (IPS) within The Swedish International Development Cooperation Agency (SIDA). The IPS support aimed at strengthening SEI into being a Swedish resource base with the capacity of state-of-the-art policy support and analysis, synthesis, outreach, and cutting edge agenda setting. Thus, the IPS will further develop SEI’s capacity to provide the Swedish Government, Sida and other development partners, including other Swedish and International agencies, with knowledge and policy support on sustainable development issues. The financial support to SEI was SEK 17 million for the first year, 16 million for the second and 15 million for the third year. The Support provided resources to (i) develoment of research methods and pilot projects in the SEI cross-centre research programmes; (ii) development and start implementation of a number of SEI-defined “flagship” research initiatives that are of strategic importance to environment, sustainable development and poverty reduction; (iii) strengthening SEI’s basic capacities with regard to management and policy impact capacities; and (iv) strengthening SEI capacities as an international agenda setter. New additional focused programmes/projects were still agreed upon between SEI and the different Sida departments and units, following principles of actual cost-based compensation. Such currently ongoing projects include the EcosanRes, RAPIDC, the Ozone project, BioEARN, Tiempo, Climate for Development, and others. On 4 May 2011, The Swedish International Development Cooperation AgencySida decided to provide renewed financial support to the Stockholm Environment Institute (SEI). Through this agreement SEI will receive renewed financial support of 25 million Swedish crowns per year for its environmental research up until 2014. “SEI’s research covers most of the key issues within the environment-development nexus that our partner countries are currently facing. The institute has for more than 20 years delivered high-quality interdisciplinary research and analysis for key decision makers on environmental and development issues,” says Ulf Källstig, head of Sida’s global programme within the Department for Global Cooperation. Solving environment and development issues at the global level is crucial for the development of the world’s poorest countries and to ensure sustainable development. Mobilization of research capacity is particularly important as a substantive contribution to the United Nations Conference on Sustainable Development in Rio, 2012 (Rio+20). “The support from Sida is a strategic initiative to reduce poverty through sustainable development. SEI will generate new knowledge in partnership with stakeholders in partner countries which will provide the basis for better informed decisions in development assistance. The timing is well chosen, since we see an increasing risk of global environmental changes that will put further strain on efforts to achieve the Millennium Development Goals,” says Johan Rockström (photo), Executive Director of SEI. Read more about the renewed agreement. SEI has research centres in Sweden, Estonia, the United Kingdom (York and Oxford), the United States, Tanzania and Thailand. Each of these centres brings a commitment to integrated analyses of complex problems, drawing upon the full range of scientific and policy expertise across the SEI centres. Each centre has its own personality and foci of interests, and each operates with significant autonomy while participating in the five cross-cutting SEI research programmes. And each centre shares a common commitment to policy-relevant research, and to the goal that SEI should make a difference in the global quest for a more equitable and sustainable planet. Administratively, the SEI foundation in Sweden consists of SEI Stockholm, SEI Asia, SEI Africa and SEI Oxford, whereas SEI Tallinn, SEI US (a non-profit research organization being a research affiliate of Tufts University in Massachusetts), and SEI York (a self-funded research unit in the Biology Department at the University of York) are separate entities and associations under the SEI umbrella. 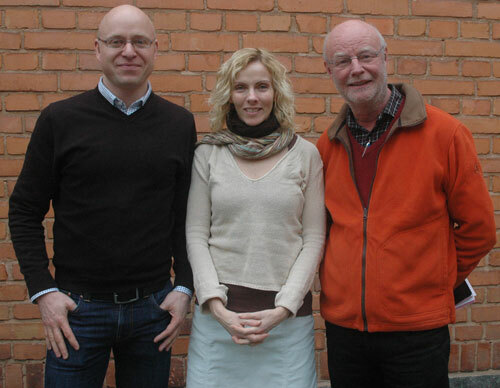 Mats Lannerstad, Elisabeth Kvarnström, and Göran Nilsson Axberg, Research Fellows that partly works with South Asia related projects at SEI. Dr. Mats Lannerstad has recently joined SEI as a Research Fellow. He is the project leader and co-author of a joint book project between the SEI and the Stockholm Resilience Centre. The book centres on water for food and ecosystems, and will build on recent advancements in socio-ecological resilience and place the entire water-food-ecosystem nexus in the global environmental change perspective. His resent work centres on global water requirements for food production to meet the needs and demands of a growing, and still partly starving, world population, and water resource management on river basin scale, in a basin closure perspective. More information about his research. On Monday 20 April 2009, he defended his doctoral dissertation entitled ”Water Realities and Development Trajectories – Global and Local Agricultural Production Dynamics” at the Department of Water and Environmental Studies, Tema Institute, Linköping University. Faculty opponent was Professor Paul Appasamy from Karunya University in Coimbatore, India. The thesis focused on the water and agricultural production complexity in a global, regional and local perspective during different phases of development. It addresses the river basin closing process in light of consumptive water use changes, land use alterations, past and future food production in waterscarce developing countries in general, and a south Indian case study basin in particular, the Bhavani basin in Tamil Nadu. The study focuses on early phases of global agricultural development and addresses consumptive use and river depletion in response to land use change and irrigation expansion. It shows that focus must be shifted from a water use to a consumptive water use notion that considers both green and blue water resources. More information, including abstract. During his research work, he has been involved in a Comprehensive Assessment project run by the International Water Management Institute. Dr. Elisabeth Kvarnström has been a Research Fellow at SEI. 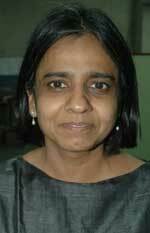 She was Node Development Manager for SEI’s EcoSanRes (Ecological Sanitation Research) Programme. This is a programme funded by the Swedish International Development Cooperation Agency, aimed to develop and promote sustainable sanitation in the developing world through capacity development and knowledge management as a contribution to equity, health, poverty alleviation, and improved environmental quality. In August 2009, SEI EcoSanRes signed an agreement with the Environment and Public Health Organization (ENPHO) in Nepal to initiate the process of establishing the Nepal Node for Sustainable Sanitation. Four months later, a joint SEI EcoSanRes/ENPHO report was published on the ongoing development with interaction programmes and workshops on sanitation issues in Nepal. 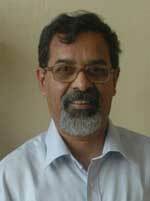 The contact person at ENPHO is Dr. Bhusan Thuladar in Kathmandu. Elisabeth has now left SEI, from 1 March 2011 she is working for Vectura Consulting AB in Stockholm. In India, SEI has also been working with Ecosan programme efforts, through the SEI-UNICEF Ecosan Programme. The contact person at SEI has been Ms. Cecilia Ruben, Communications and Networking Manager. In India, Mr. Prakash Kumar is Consultant to EcoSanRes. In December 2010, the Swedish International Development Cooperation Agency (Sida), through its program for Partner Driven Cooperation (Aktörssamverkan), granted SEI through Cecilia Ruben as main applicant, SEK 3.9 m for a three years Indo-Swedish collaboration project entitled ”Enhanced Sustainable Sanitation Provision in Flooded Areas of India: Researchers and Practitioners Collaborate for Policy Reform and MDG Fulfillment”. More information below. Dr. Louise Karlberg is a is a Research Fellow and joined SEI in 2006, and is affiliated to Stockholm Resilience Centre. She specialises in flows of water and matter in terrestrial ecosystems and holds a PhD in Land and Water Resources Sciences from the Royal Institute of technology (KTH), Sweden. More information. Dr Jennie Barron is a research fellow in water management at SEI, based at the York centre, and affiliated to Stockholm Resilience Centre. Her research is focussed on water management in field to meso-scale watersheds for food production, livelihood improvements and agro-ecosystems sustainability. More information. They work together with Dr. Kaushal Kishor Garg,a post-doc researcher at the International Crops Research Institute for the Semi-Arid Tropics (ICRISAT) at its headquarters in Patancheru, Andhra Pradesh, India. Dr. Garg’s work at ICRISAT is supervised by Prof. Suhas P. Wani, Principal Scientist (Watersheds), Global Theme – Agroecosystems. – What are the downstream implications of AWI? – How do we ensure that the ecosystem services generated in the socio-ecological system are sustained? – How do we prevent transitions into non-desirable regimes? – What are the drivers of change? Sunita Narain (photo to the right), Director of the Center for Science and Environment (CSE) in Delhi, India, was previously a member of the board. She is a forceful and articulate voice of the South on issues of environment and development, and a dynamic advocate for water, environment, human rights, democracy and health. She is also Director of the Society for Environmental Communications and publisher of the fortnightly magazine, Down To Earth, published from New Delhi. In January 2005 Sunita Narain was given a Padma Shri award by the Government of India for her commitment to environment protection. The Padma awards are the highest civilian honours given every year to eminent citizens for their exceptional contribution to various fields in India. On 22 March 2005 it was also announced that CSE, led by Ms Sunita Narain, was awarded the 2005 Stockholm Water Prize by the Stockholm International Water Institute (SIWI). The award was given to CSE for its efforts to build a new paradigm of water management, which uses the traditional wisdom of rainwater harvesting and advocates the role of communities in managing their local water systems. CSE received the $150,000 Prize from HM King Carl XVI Gustaf of Sweden during the Stockholm Water Week in August 2005. Lawrence Surendra, holder of the Planning Commission Professorial Chair at the Dept. of Economics, University of Mysore (previously at the National Law School of India University in Bangalore) has also been a Senior Advisor to the SEI-Stockholm. His work and areas of interest are in the areas of Social Policy, Natural Resources, Science and Technology Policy, Ecology and Environment and has published many papers and co-authored as well edited several books. Dr. Surendra has other Swedish connections as well: He has worked in the area of Science and Technology Policy at the Research Policy Institute at Lund University, and he has been a scholar-in-residence at the Dag Hammarskjöld Foundation in Uppsala. His research work includes areas relating to plant biodiversity and local knowledge and on the politics of knowledge systems and on which he has written and taught both within the region and globally. He has been closely involved in teaching, curriculum development and research relating to Sustainability issues in the Asian region. He is well published, written extensively on issues relating to the economy, education, science, technology and development in India and has been a regular contributor to one of India’s leading Fortnightly, ‘The Frontline’, on topics such as the Asian Environment, multilateral institutions and international development. He is also a member of the International Advisory Panel of Experts for UNESCO’s Bangkok Regional Office for Asia and Pacific, with reference to the UN Decade for Education for Sustainable Development (UNDESD) 2005-2014. He and his wife, Pushpa live outside Mysore on an organic horticultural farm, incorporating ecological principles and design in the maintenance of the farm and natural resource use. A number of South Asia oriented projects have been administered thorugh SEI’s office in York, UK. One such project deals with ”Improving Policy-Livelihood Relationships in South Asia”. The project was carried out between 2000 and 2003, and was implemented by the School of Geography at the University of Leeds, in partnership with the International Institute for Environment and Development (IIED) in London, The London based consulting firm Marine Resources Assessment Group (MRAG), the University of East Anglia’s Overseas Development Group (ODG) in Norwich, and the University of Reading’s Agricultural Extension and Rural Development Department (AERDD) in the UK, and the Bangladesh Centre for Advanced Studies (BCAS) and the International Union for the Conservation of Nature and Natural Resources (IUCN) in Bangladesh, Development Alternatives and the Centre for Economic and Social Studies (CESS) in India, the International Centre for Integrated Mountain Development (ICIMOD) in Nepal and the Lanka International Forum on Environment (LIFE), Integrated Water Management Institute (IWMI) and the International Union for the Conservation of Nature and Natural Resources (IUCN) in Sri Lanka. The project’s goal was to develop and promote practical policy options to support rural livelihoods through a range of research, development and advocacy activities. More information. 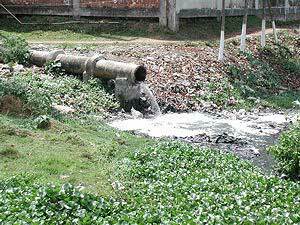 Another project by SEI-York is titled ”Managing Pollution from Small Scale Industries in Bangladesh”. It is funded by the UK Government’s Department for International Development (DFID), under the Knowledge and Research (KaR) programme, the European Commission under, the Asia Pro Eco Programme and the Government of Bangladesh under their Investment Support Management Programme (ISMP). The project seeks to develop and implement a more participatory approach to reducing water pollution from small and medium scale enterprises (SME) in Bangladesh. The project is located in Central Bangladesh and involves a research team from the Stockholm Environment Institute (SEI), the University of Leeds, the University of Loughborough, UK, Centre for Natural Resource Management (CNRS), and the Bangladesh Centre for Advanced Studies (BCAS) in Bangladesh. It is hoped the project will have multiple benefits including improved efficiency and cost savings for the factories, an approach including appropriate tools for monitoring that can be utilised by the Department of Environment and an improved and livelihood opportunities for the local population. More information. In 1999 SEI, through its Boston office, carried out a project titled ”Capacity Building in India and Nepal”. It was carried out in partnership with four water development NGOs from India and Nepal, and dealt with a water supply and conservation project. The organizations reflected a diverse set of water planning challenges in South Asia. WEAP, a Water Evaluation And Planning System, was introduced in each area as a mechanism for structured and integrated assessment. Ten water professionals from the organizations then participated in a joint training workshop where they gained proficiency in the use of WEAP, developed a network configuration for their regions and compiled relevant data. The applications in river basin assessment and problem solving continue with occasional SEI technical support. SEI also supports the academic community through studentships, internships, Masters and PhD supervision and international exchanges. The Institute also develop and maintain the Global Water Partnership website (www.gwpforum.org). It is also active in capacity building and facilitation projects at many places around the World. In South Asia the Institute has been working with The Energy Agency in Bhutan; and EPTRI (the Environment Protection Training & Research Institute). EPTRI was set up as an independent registered society in 1992 by the Government of Andhra Pradesh with the assistance of the Government of India, and financially assisted by Sida, the Swedish International Development Agency. SEI has been engaged in an air pollution monitoring network in South Asia, with the aim to identify atmospheric pollution reduction strategies and implement international agreements. The Programme deals with air pollution problems at a range of different scales: Local air pollution relating to urban and peri-urban issues; regional air pollution relating to impacts on ecosystems, often at transboundary scales, and emissions of ozone depleting substances (ODS) and persistent organic pollutants (POPs) which have global impacts on human health and ecosystems. Most of the activities have concentrated on South and Southeast Asia, where some work has been coordinated through the SEI-coordinated Swedish International Development Agency’s (Sida) Regional Air Pollution in Developing Countries(RAPIDC) programme, which has helped to develop inter-governmental cooperation on air pollution in South Asia and SADC countries of Africa. SEI has developed information for the policy process and facilitated inter-governmental agreements in these regions. Specifically, the programme has helped to facilitate the development of the Malé Declaration on Control and Prevention of Air Pollution in South Asia, in the year 2000. For more information about the RAPIDC programme contact Johan Kuylenstierna, working for SEI at the Biology Department, University of York, UK. The Stockholm Environment Institute convened the Global Scenario Group in 1995 to examine the prospects for world development in the 21st century. It is an independent, international and interdisciplinary body engaged in an on-going process of scenario development. A central theme is the policies, actions and human choices required for a transition to a more sustainable and equitable future. The diversity and continuity of the GSG offers a unique resource to researchers, decision-makers and the general public. The GSG maintains a Secretariat at SEI-Boston that provides scientific and administrative support for the GSG work program. Dr. Paul Raskin is the GSG Director. Major funding has been provided by the Nippon Foundation, the Stockholm Environment Institute, the United Nations Environment Programme, the Rockefeller Foundation, and the Global Industrial and Social Progress Research Institute. In the group two members are from South Asia: Tariq Banuri from Pakistan – who is Senior Research Director at SEI-Boston, and Atiq Rahman from Bangladesh – who is Director of the Bangladesh Centre for Advanced Studies, Dhaka, and Coordinator of the Climate Action Network, South Asia. Albaeco produces many publications. One of them is the Sustainable Development Update (SDU), a newsletter on evironment – development issues, that from 2009 has been turned into a News Blog. It was originally developed out of the electronic Newsletter called ”Environment, Development & Conflict – EDC News”, that was published 2003–06 by the Dept. of Peace and Decvelopment Studies (PADRIGU), University of Gothenburg, and funded by the Swedish International Development Cooperation Agency (Sida). Go for the Sustainable Development Update (SDU) News Blog. Cecilia Ruben and Prakash Kumar. Research Fellow Cecilia Ruben, Communications and Networking Manager at SEI, is the main applicant for one of these India related grants. She and her colleagues behind the application were given SEK 3.9 m for three years (2010-12) for a project entitled ”Enhanced Sustainable Sanitation Provision in Flooded Areas of India: Researchers and Practitioners Collaborate for Policy Reform and MDG Fulfillment”. In collaboration with the Water, Sanitation and Hygiene Institute (WASH) in Kodaikanal, Tamil Nadu, India; SEI now focus on sustainable sanitation solutions in areas experiencing recurrent flooding in the State of Bihar, the most flood-prone Indian State with more than 16% of the total area flood-affected and with more than 22% of India’s flood-affected population. Of vital importance to reduce human vulnerability in Bihar is better sanitation systems, to be accomplished by increasing coverage of improved sanitation to a higher percentage than the current level of 25%, half of that of India as a whole, and through improved functionality of the systems. The contact person on the Indian side is Dr. Prakash Kumar at WASH Institute. More information about the project. 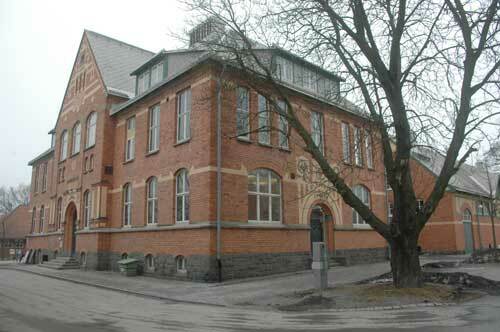 Final report is to be delivered to Sida in April 2014. 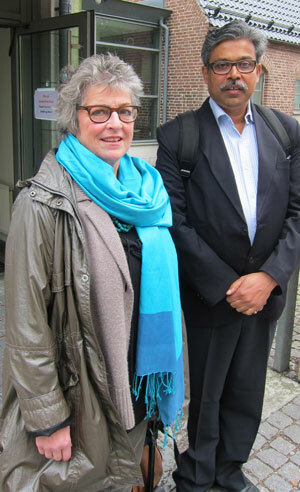 An informal SASNET meeting with Cecilia Ruben and Praksh Kumar was held at Lund University on Monday 24 September 2012. Researchers working on not only sanitation issues but also water supply, hygiene, human health, environmental health, development, disaster risk reduction and policy promotion were invited to meet them. Ruben and Prakash come to Lund on their own initiative in order to launch a dialogue with colleagues in Lund regarding the implementation of the project. The meeting at Lund University, planned in collaboration with SASNET, was held at Lund University Centre for Sustainable Studies (LUCSUS), at Sal Rio, Geocentrum, Sölvegatan 10, 4th floor. More information.